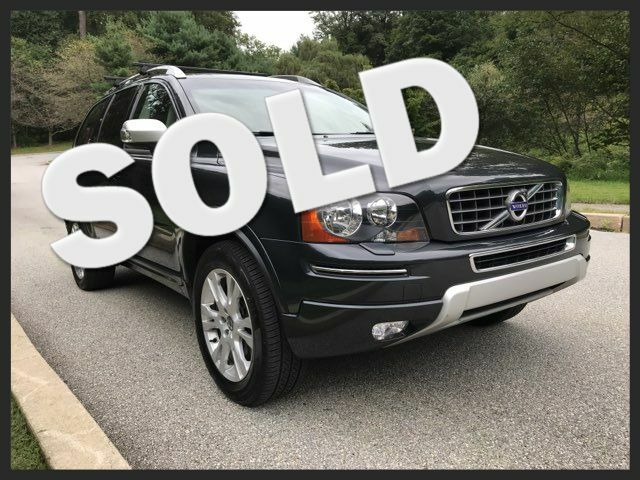 2014 Volvo XC90 AWD 3.2L | Malvern, PA | Wolfe Automotive Inc.
1-Owner, New Front Brake Pads & Rotors, Fresh Full Synthetic Oil Change, AWD XC90 powered by the durable 3.2L 240hp DOHC in-line 6-Cylinder Engine. Serviced by the Wolfe Automotive Team using all necessary items to complete our Certified Reconditioning Process. With a Clean CarFax, this XC90 is generously equipped with Climate Package, 3rd Row Seating, Rear Air Conditioning, BLIS (Blind Spot Information System), Folding Rearview Mirrors, Rear Park Assist, Center Child Booster Seat, Moonroof, Rain Sensor Windshield Wipers, BlueTooth, Auxilary Input and Winter Mode / Geartronic Automatic Transmission. Legendary Volvo Safety Features found in the rugged XC90 include Side Impact Beams, Outboard Front Lap And Shoulder Safety Belts -inc: Rear Center 3 Point and Pretensioners and Curtain 1st, 2nd And 3rd Row Airbags.